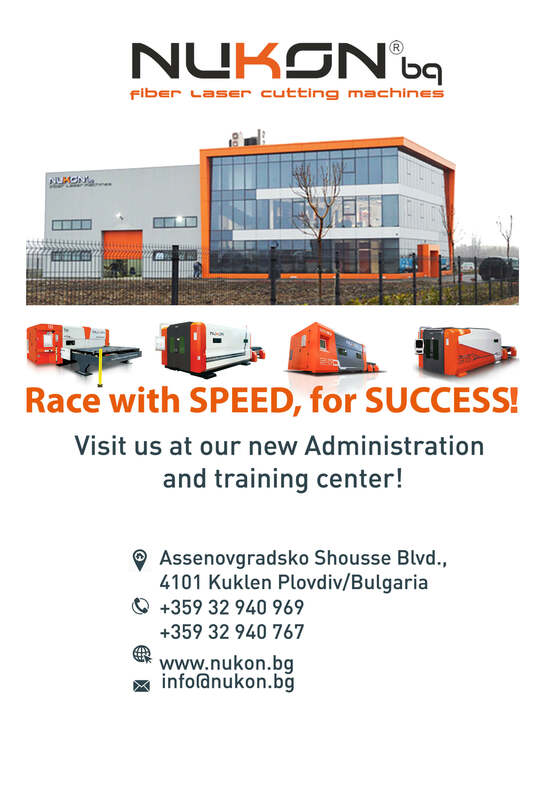 Due to an expand in its commercial and technical activities during the last years, Nukon Bulgaria Ltd. decided to take the next step and built a new base with 3 floor x 300m² each and a 500 m² training center in 2017. In our facilities, our customers will have the opportunity to see our machine models in the showroom, to test the working process of the machine in our production and storage base and we will do regular training seminars to all our customers. The next planned step for us it to make an additional construction to our base which estimates 1 500m². “We from Nukon Bulgaria Ltd. are aware of the difficulties that many owners and managers of companies in “Production and processing of metal products” sector encounter in finding a quality technological equipment at affordable price with proper aftersales support. Another problem is related to the slow service of machinery as most were imported from abroad and sold by dealers without own base and technical team. We always do and will continue to do our best in order to be next to our customers whenever they need us.